Vivienne Westwood Turtle Hoodie Pink S25AM0236. 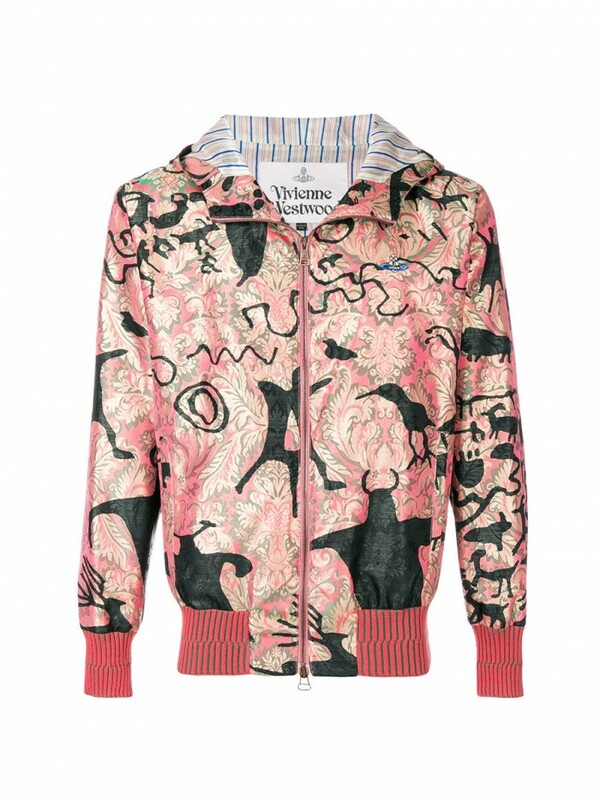 Imbued in a soft pink brocade pattern, the jacket is stylishly complimented with the iconic black Cave print from her Wake Up Cave Girl AW 07 Collection on top. A true statement piece. Please note that the patterns will vary from piece to piece.